A postmodern print experiment that mixes everything from fashion and fine art to pop culture and performance. 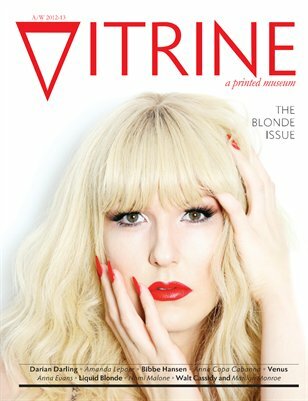 The Blonde Issue features Darian Darling, Amanda Lepore, Bibbe Hansen, Anna Copa Cabanna, Anna Evans, Liquid Blonde and Walt Cassidy. PURE content. Not an ad in sight.